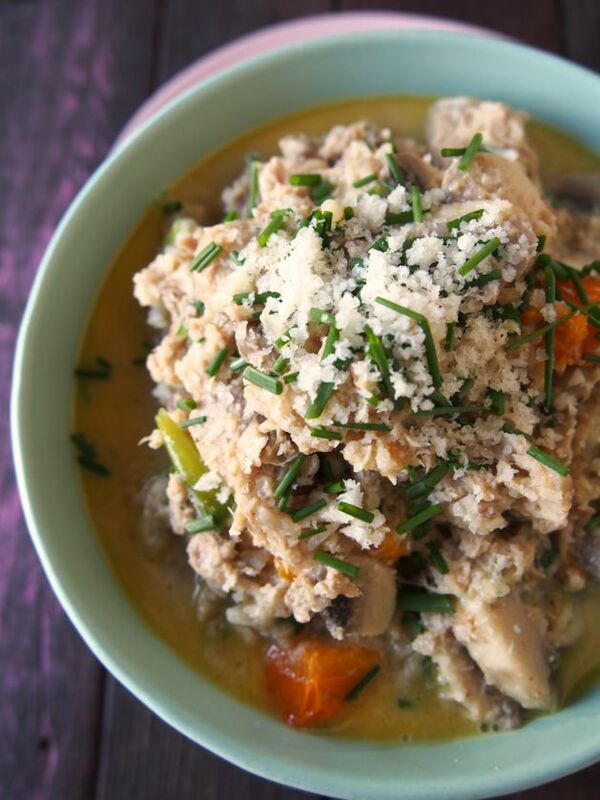 Paleo Creamy Chicken and Mushroom Risotto (using Caulirice!). Boom! 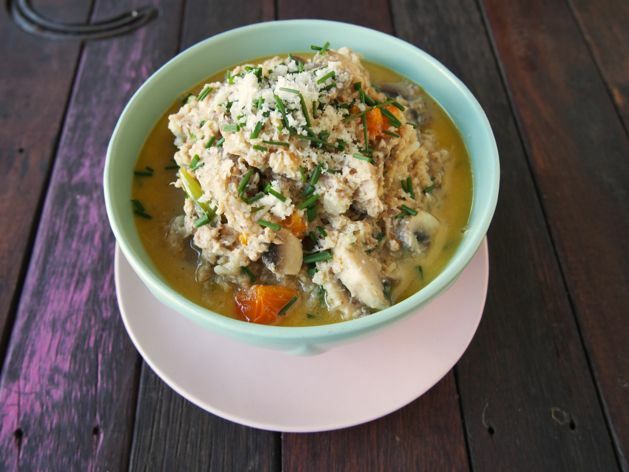 Enter our Paleo Creamy Chicken and Mushroom Risotto… using caulirice! That’s just grated/food processed cauliflower to resemble a rice like texture. In all honestly, caulirice is better than normal rice not just because it’s not a grain but it’s actually way easier and much quicker to make than regular ole gloopy rice! Yay for that! 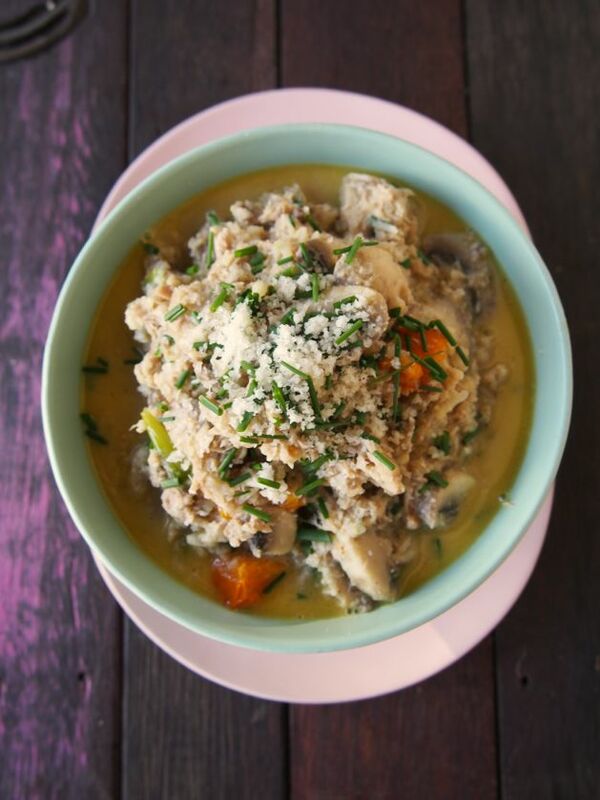 Not only do we love this Paleo Creamy Chicken and Mushroom Risotto on a cold winter night (creamy and tasty = very comforting) but it also makes the BEST leftovers, cold or reheated! Take your pick! So it tastes good AND it’s better for us. #winning gotta love that! Do you LOVE cauliflower too? What else should we make with it? Leave us a comment below! In a food processor, whiz the cauliflower florets until they resemble rice, or you can grate them. Set aside. In a deep saucepan, melt the ghee on medium-high heat. Add the chicken and cook for 8 minutes or until just cooked through. Add the cauliflower, mushrooms, chives, tomatoes, stock and coconut milk, stir well. Allow to simmer, cover and turn heat down to low. Allow to cook for 10-15 minutes or until the mushrooms are nice and soft. Season with salt and pepper and serve with grated macadamias/cheese and an extra sprinkle of chives! This. Is. Delicious! Leave the chicken out and serve this as an amazing side! 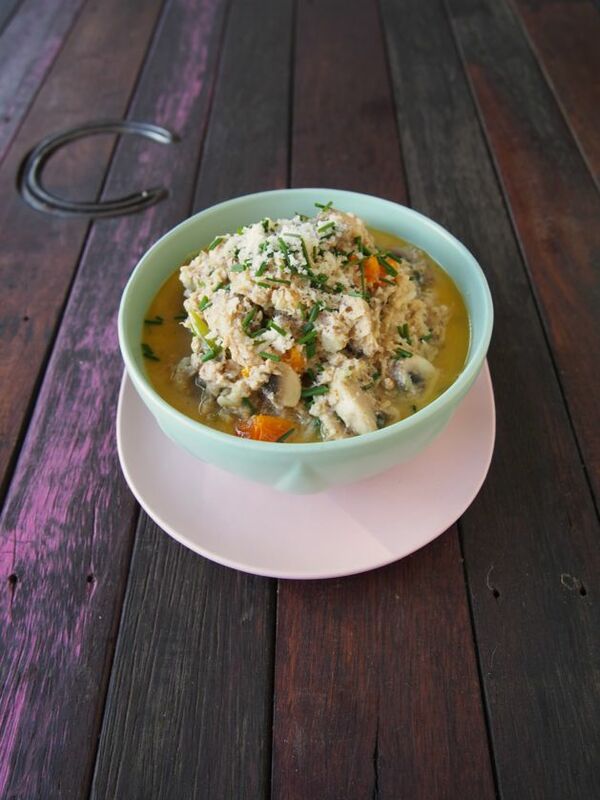 Sending HUGE LOVE to Optimoz for providing us with the ghee to create this AMAZEBALLS recipe for our MerryOptimoz collaboration!